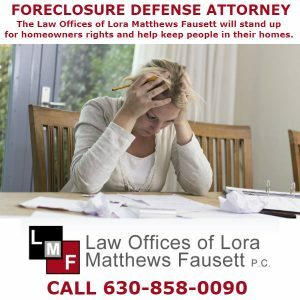 The Law Offices of Lora Matthews Fausett provide mortgage foreclosure defense attorney representation in the DuPage, Kane, Kendall, Will, and Cook County region. Homeowners, if you are facing foreclosure on your home in the near future or are already in foreclosure litigation, allow our experienced lawyers to stand up for you and your family and protect your rights. Even if you have devotedly paid your mortgage for years, financial hardship, loss of employment or an increase in your adjustable rate can make it nearly impossible to avoid default. When the phone calls won’t stop and the letters keep coming, you may feel like you have no options. You do have options and you can get an attorney. 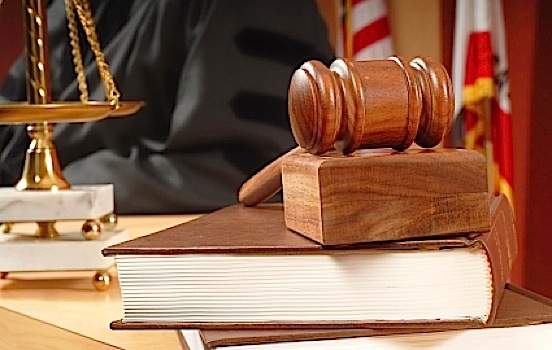 If your lender has an attorney, shouldn’t you also? 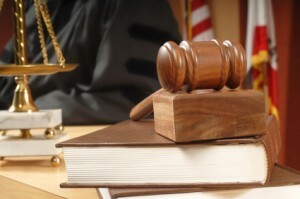 Fausett Law PC is a recognized and experienced foreclosure defense firm. We will stand up for your rights and help you keep your home. We work closely with individuals and families who have been unable to stay current on their mortgages. Loan Modification: Our lawyers will work directly with your lender to try to negotiate different terms for your mortgage, including a reduction of your interest rate or an extension of the length of the mortgage. Repayment Plans: Our lawyers help you seek to restructure your loan to eliminate any arrearages, by way of forgiveness of past due amounts or through refinancing any arrearages in a new mortgage. 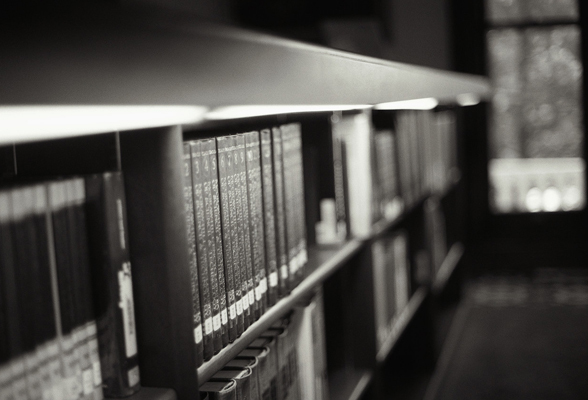 Forbearance: In limited circumstances, our lawyers may be able to get your lender to suspend payments for a certain period of time so that you can get caught up. Short Sales: Our lawyers will work with your listing agent, negotiate with your lender, and close your real estate transaction to avoid foreclosure and a Sheriff’s sale of your home. Meanwhile, your lender pays all of your attorney’s fees for the short sale.